Uriel Orlow (*1973 in Zurich) lives and works in London. He studied at Central Saint Martins College of Art & Design, at the Slade School of Art (UCL) and the University of the Arts in London, as well as at the university of Geneva. He is currently involved in a research project within the framework of the 'AHRB Research Fellowships in Creative Arts' at the University of Westminster. Uriel Orlow's Unmade Film will be shown at Al Ma'mal Foundation for Contemporary Art, Jerusalem (09.04.–26.04.2013), at Centre Culturel Suisse in Paris (04.05.–14.07.2013) and at Les Complices* in Zurich (15.05.–18.06.2013). Uriel Orlow is participating in the exhibition project 'Chewing the Scenery' that is part of the Swiss Pavillon at the 54. Venice Biennale. 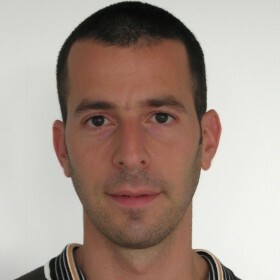 Uriel Orlow will contribute to the Swiss Pavilion at the 54th Venice Biennale, starting with a preview on 1 June 2011. Uriel Orlow is part of the exhibition 'Crossfades: Reconstructing the Future' at Shedhalle in Zurich (9 October - 31 December 2010). Campagne Première in Berlin is presenting the solo show 'The Short and the Long of it (v 2.0)' by Uriel Orlow from 2 October until 13 November 2010. The exhibition 'Uriel Orlow: In These Great Times' is on show until 10 October 2009 at habres+partner gallery in Vienna (Hollandstrasse 7, A-1020 Vienna).